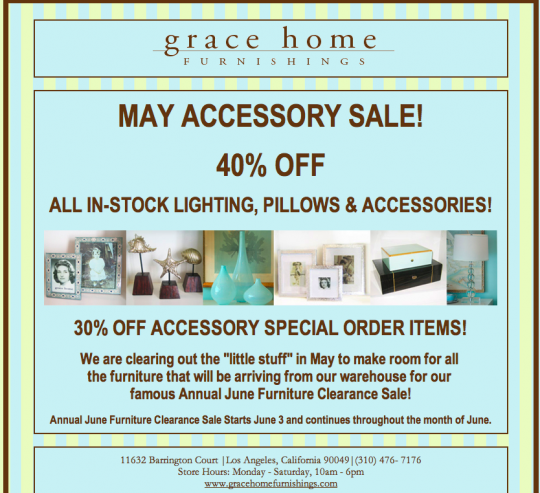 Friend of the blog Grace Home Furnishings is spring cleaning to get ready for an even bigger event. The place is a goldmine of treasures waiting to be discovered. You’re sure to find something wonderful for yourself or a friend! Click on the image above to visit the site. This entry was posted in Living and tagged Grace Home Furnishing.. Bookmark the permalink. Everyday’s a holiday Mrs. PvE! Grace Home is a great resource–and the chocolate lab is a super dog.